This stallion has not been tested, however he has proven through breeding to be carrying silver. His sire is the Silver Cremello Rosmels Creme De Mint. 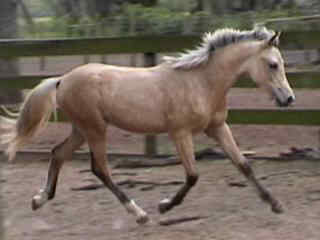 He also has two tested silver foals, one out of a purebred arab mare. Here are a few pictures of him from his website. What a perfect example of how well cream can cancel out silver. He's gorgeous! I keep coming back to these photos. I just can't believe this guy carries a silver gene. I am just amazed! Talia, you're right he is a great example of how cream mutes silver dilution. 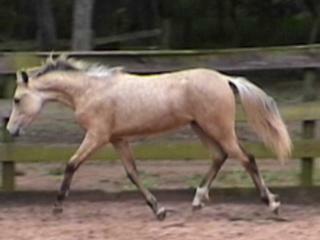 He almost has an Akhal Teke sheen to him too. Wow, he's beautiful, but he looks much more Silver when he was younger. Is that common with Silvers? Do they darken when they age? That's very interesting. I didn't know they tended to darken. Honestly though, I sort of wonder if they dyed his mane and tail darker in those pictures? I know some breeds do that for showing to get rid of fading and such. Beautiful just gorgeous As a youngster you could tell for sure he would be silver....but now he just looks like and ordinary buckskin.Hope he produces many wonderful foals with them. how strange to me at least, my buckskin taffies/silver's have not done that, two of em are nearing ten now. I forgot to add, Pebbles is a cream/silver/bay. 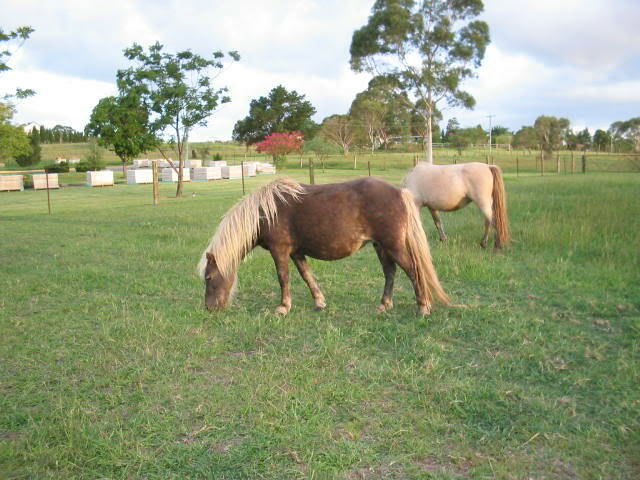 this is one of my original mares Mindari Pebbles by Taffie (a black silver) from Snow, a cremello Australian pony. 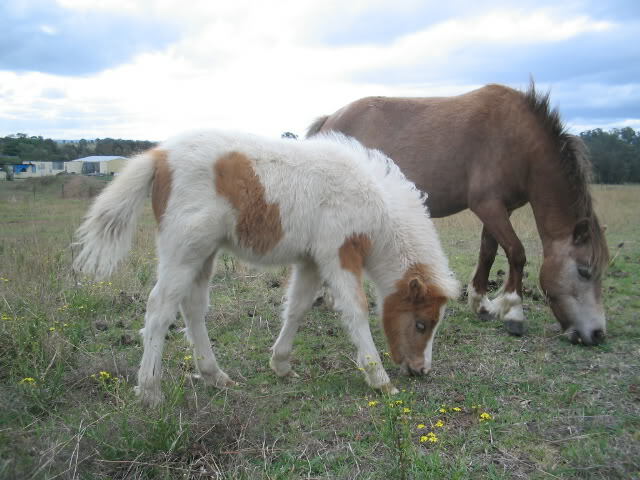 this is Mindari Silver, by Mindari Rebel a buckskin silver pinto, By Spring Park Pee Wee a black pinto, and from Mindari Pebbles. His dam is Mindari Fairy Queen. he was born a strange coffee blue colour nothing like his daughters who appeared to look like in Titanias case more gold than the red in the pinto daughter. the gold sheen is the setting sun and his fresh coat is aluminium but bleaches to a slight gold tint as well, underneath is a suspect a silver dapple taffy if clipped, never bothered too as hasnt been shown to date. the one above and the one below taken 24 hours apart. 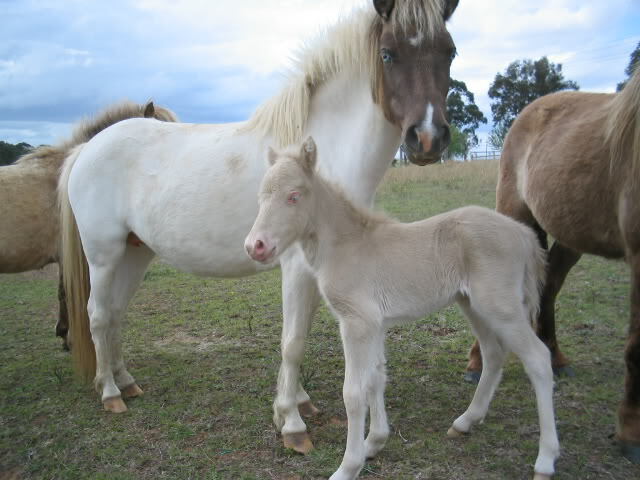 the cream buckskin taffie filly i have from pebbles was born totally white with a blue haze that seemed to halo effect up to 3 inches around her, startling bright blue eyes, darker though than china's and also turned golden brown like Silvers, she too is by Rebel, like silver he sired her before I knew he was fertile so her mum is Pebbles, Rebels mum. 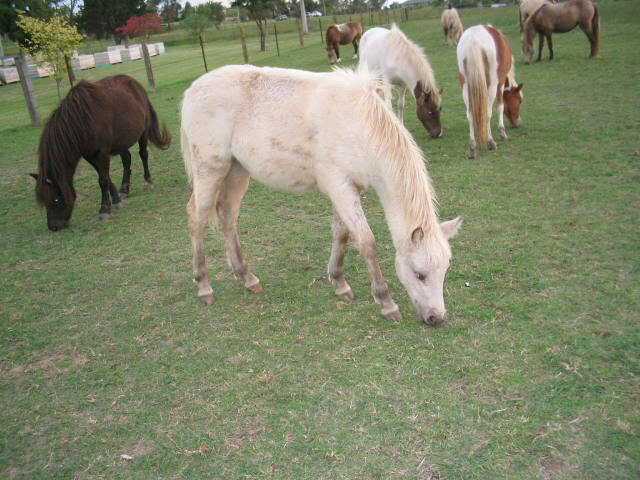 Silver was gelded as a late yearling and the three foals tuned up 6 months later. here is the pinto Silver Daughter her chest has clipped out silver dapple like Titania yet she is far redder than Titania on the hair tips the silver undeaneath is identical????? Actually I honestly don't find he was "obviously silver" in his younger photos. 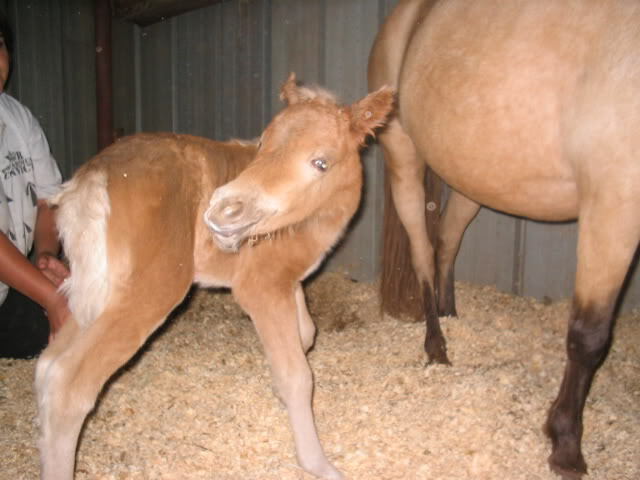 I personally have seen young buckskins without silver that had every bit that much frosting and baby flaxen in their mane and tail. They're not *common*, but they're more common than finding silver in a breed where it is so rare, so I'd almost always assume it was just frosting and baby flaxen. Miniatures express silver so very differently than big horses IME. 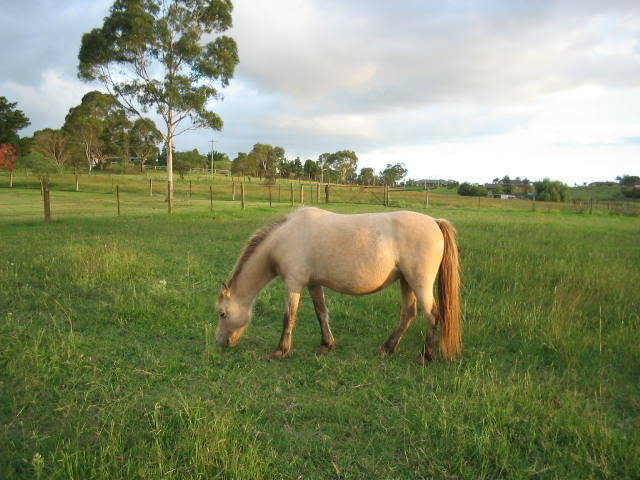 I've never seen a silver buckskin mini that didn't look like exactly that (even if it was a dark, murky version). I have seen it in big horses. This horse has black legs, which should have diluted to brown if he carried silver, and silver can't hide other than in a red based horse... so I'm confused. How can this horse carry silver when he has black in his coat? Am I misunderstanding somehow? Not trying to be rude or snitty, I am quite curious! 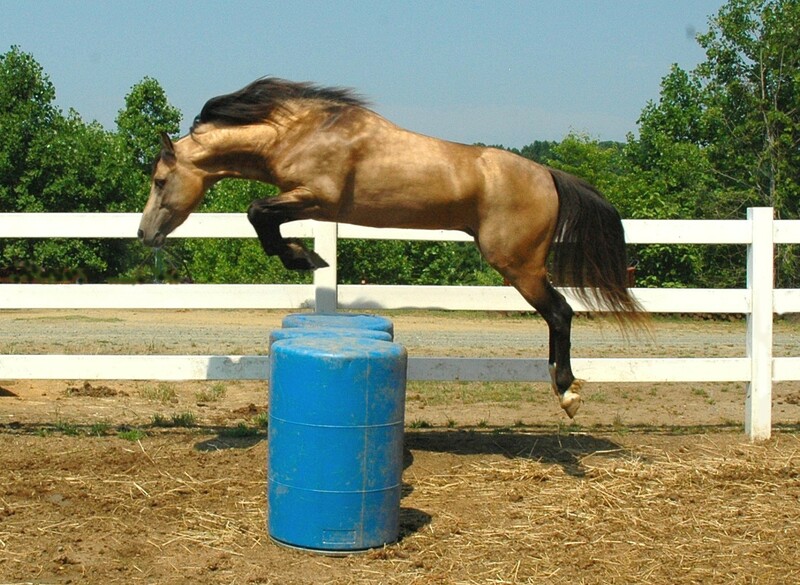 RiddleMeThis wrote: This stallion has not been tested, however he has proven through breeding to be carrying silver. 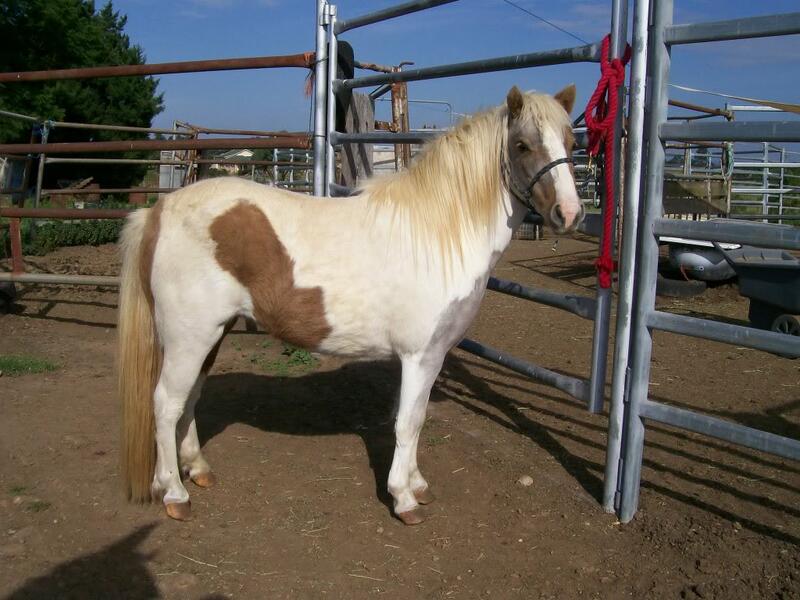 His sire is a cremello who comes from a LONG line of palominos and chestnuts so the silver easily hid in that family. As for the brown legs, that's just one of the characteristics that sometimes happens with silvers, it is definitely not a requirement. For as many rules as we put on colors, there are just as many horses who break them. I've gotten used to seeing widely varying expressions in my studies. 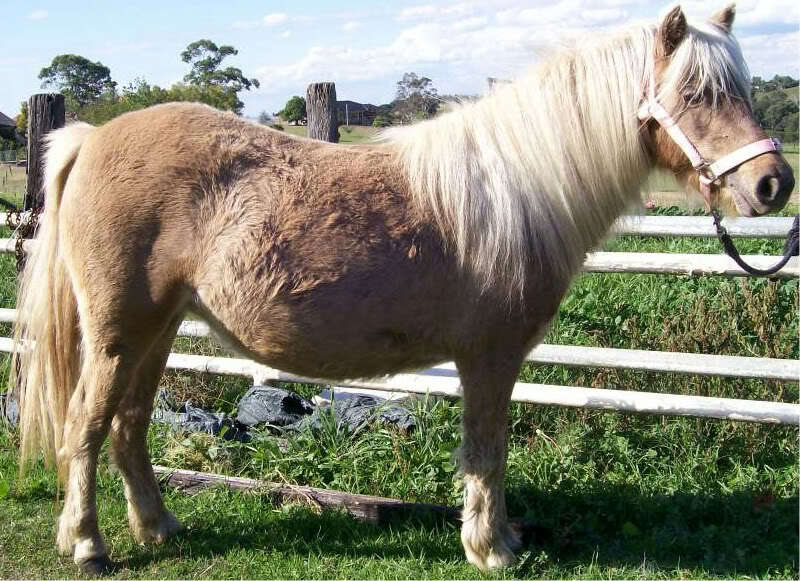 It used to be if a palomino didn't have a white mane and tail and a gold body, it wasn't a palomino. Now we have palominos that look jet black and yet we know they are truly palomino thanks to genetic testing. That is essentially the case with this stallion. he doesn't fit the phenotype per se, but he IS the genotype (proven). Doesn't the Z gene dilute black pigment to brown though? I guess I'm asking why this horse isn't diluted if he is "silver." I do see the silver back in his pedigree, that I'm clear on. Twisted E Ranch wrote: Doesn't the Z gene dilute black pigment to brown though? I guess I'm asking why this horse isn't diluted if he is "silver." I do see the silver back in his pedigree, that I'm clear on. Its "supposed" to. However it, like cream, has variable expressions, and even has things that sort of "counteract" its effect. 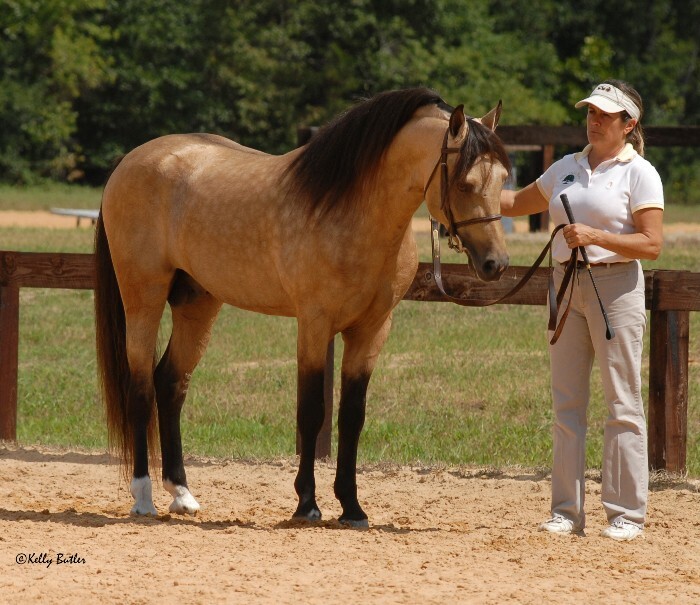 When a horse is silver, and cream, many times cream will "cancel" silver out and that horse will only look cream. And I've also seen cream + silvers that looked like ordinary browns or faded blacks. These genes follow their own rules. Our DNA tested Silver buckskin AQHA mare has very subtle silver characteristics, I'm guessing that silver is certainly affected by the cream gene. Her skin itself almost looks like that purple/pink cast that you would see common with Champaign. She also is extremely metallic as well as dappled and gets very dark in her winter coat. That said her buckskin points are not black but chocolate. Does somebody know here whether is there this breeder still? 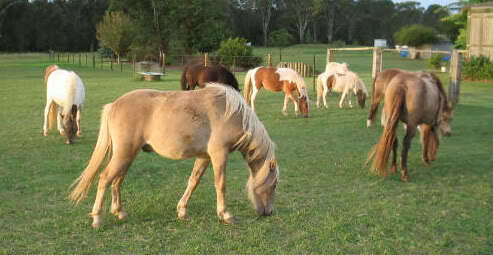 I always have been a big fan of Arabian horses but also of Welsh ponies. 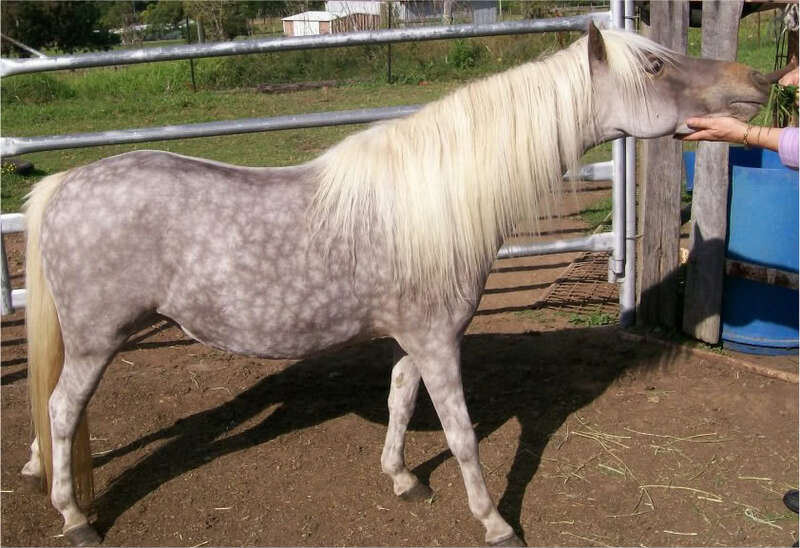 Even if I’m not about to start by tomorrow it has been my dream for quite a while to breed Arabian looking horses in the colors black silver dapple. Unfortunately, I have received no answer to my inquiry, hence, I do not know whether there is this breeder still!